This is the smallest TV in the L1350 lineup for 2013/14. 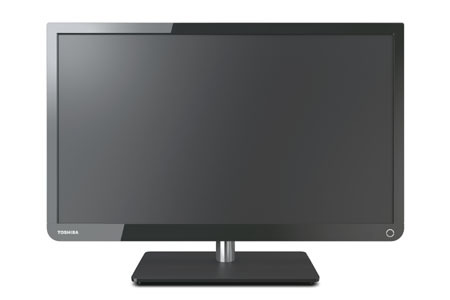 The 23L1350 is going to work well as a computer monitor, bedroom TV, or kid's room TV. It's not going to work well for rooms bigger than that. The L2300 series also has a 23 inch entry that is worth taking a look at if you want a little more in the appearance department of the TV. There isn't much else to compare it to since most of the TVs coming out are getting bigger every year. The 23L1350 picture quality gets the job done as a budget television. All of the mid to top tier picture quality features have been dropped to attain the budget value. There are a few flaws, but these are excusable in a budget TV in such a small size. We found that the picture quality largely depends on the source material here. A standard definition signal is not going to look very good compared to a blu-ray or game console with an HD game. Color is another area where this TV struggles. Color accuracy more specifically. Colors may appear bright, but the level of realism doesn't compare with the mid to top level TVs. The 23L1350 gets a black plastic coloring instead of the gun metal found on the other TVs in Toshiba's lineup for the year. The frame has square edges on the top and rounded edges on the bottom for a streamlined appearance. The stand is a black plastic square with rounded edges and the arm holding the screen up is round and silver. It's a good look for a budget television.